LINCOLN, Neb. 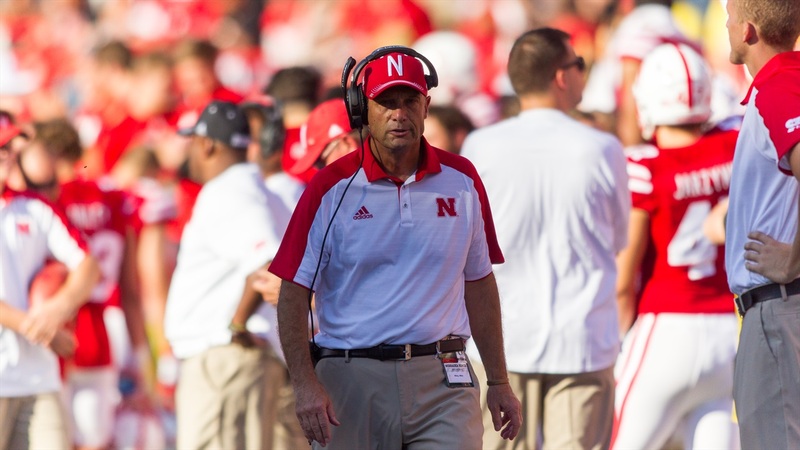 – Mike Riley met with the media after Thursday evening’s practice to discuss the Huskers’ upcoming game against Illinois as well as the protest by three of his players that has caught so many headlines recently. >> Riley confirmed that right guard Tanner Farmer and wide receiver Alonzo Moore will both be out this week, although he didn’t have any other injuries to report. Senior Corey Whitaker will start at right guard in Farmer’s place. Nebraska’s top two back-up options in Sam Hahn and Whitaker have now been pressed into the starting lineup by injury, leaving the Huskers pretty shallow along the line. However, Riley said he isn’t worried about it. Offensive line coach Mike Cavanaugh confirmed on Wednesday that Conrad would be the next man up at any position along the line if any of the starters were to suffer an injury on Saturday. >> Riley said last year’s 14-13 loss at Illinois was a tough pill to swallow, but because of the coaching change they used that game more as a learning tool during the offseason than they did preparation for this year’s matchup. >> Riley also spoke at length about three of his players taking a knee during the national anthem. Riley said he hasn’t seen the national attention the players’ protest has drawn affect the team in any way. Riley closed by talking about the difficulties of dealing with all that has happened to the team thus far, and went on to talk about the responsibility of all those working in a university environment.